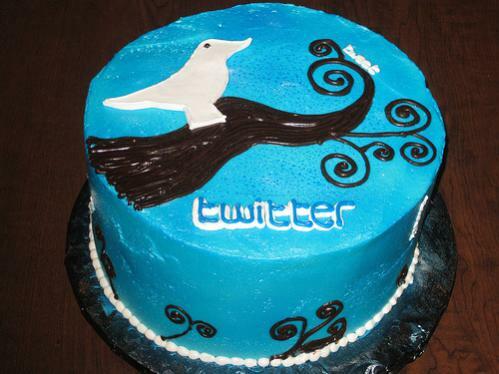 It’s been quite some time that we saw a cake that was as mouth watering as this Twitter Cake here. The Twitter Cake comes with the Twitter Bird Icon and could make anybody’s stomach growl and will make every social networking stop tweeting and remember that they also have a mouth and stomach to take care of, within their own bodies. The cake has been beautifully created and the branch and the Twitter bird on the top have been created using icing sugar. The Twitter chocolate cake is a must have for anyone who is an active social networking member and also to those who like their cakes a tad too geeky. This delicious looking cake was baked by The Sugar Me Bakery in Orange County, California. Twitter has inspired many people to design products, eatables and even funny stuff that you would never dream of. You could for instance read about Puppy Tweets, which lets your dog use a Twitter account and also groove to the pop influenced track “Twitter Me Some Love“.